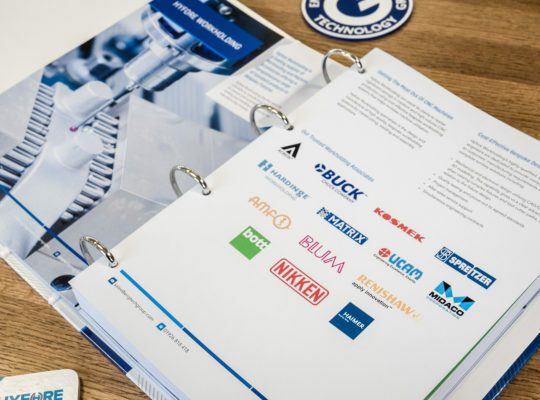 Brochures provide a tangible opportunity to immediately connect with your audience. They allow you to tell your story creatively to inspire interest, persuade the reader and provide a gateway to the next stage of enquiry. What are the benefits of a brochure? It’s short and sweet – you’re able to introduce your company, provide information on your products and services and put across your marketing message quickly. Good brochure design provides an effective snapshot of your company, with your website providing more in-depth detail. It’s intimate – a beautiful brochure design gives you the opportunity to communicate your story intimately, literally putting your message directly in the hands of the customer. Go on, show off a little! – a brochure quickly reveals to the reader your brand, your style and your ethos. Be memorable – a physical thing is more likely to be kept and treasured. As we venture into a virtual world, brochures offer a nice contrast. Is Brochure Design Still Relevant? In an ever-evolving world of technological advancements, more and more of the world is now opting for the convenience of digital and that poses the question, will print be left behind? Simply put, no! The continually refreshing stream of social media content leaves a gap for nostalgia, for something special – a beautiful brochure provides that ‘special’, leaving something physical and real in the hands of a customer that not only looks beautiful but will be remembered for far longer than a social media status. When crafted well – a seamless blend of good design and copywriting, brochures still result in sales prospects. A brochure shows a client you have a comprehensive marketing approach, that they’re a valued customer whilst enhancing your brand value. 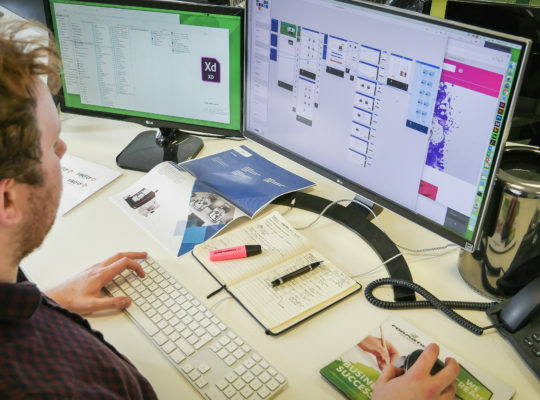 At Formation, we align brochure design with your brand values, creating bespoke brochures tailored to your business with high-quality printing and finishing, within a budget that works for you. To view our portfolio of print projects, please see our our work.